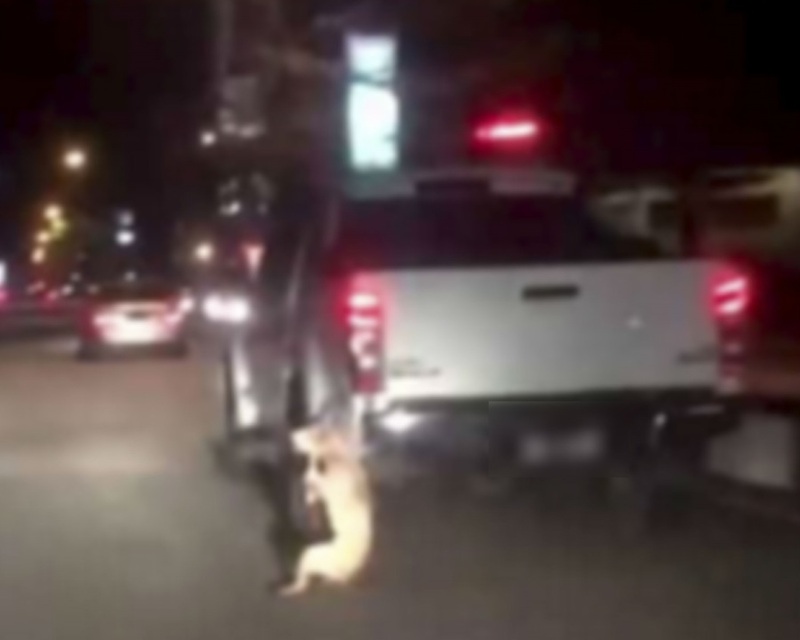 TAIPING: A video of a dog being dragged behind a pickup truck driving down Jalan Kota, here, has gone viral on social media, incurring the wrath of many. Following the spread of the video, a police report was lodged by a man who was upset by the action of the truck's driver. Taiping district police chief Supt Razlam Ab Hamid said upon receiving the report and studying the video, police were able to trace the owner of the vehicle based on its license plate. According to him, investigation found that the vehicle was used by the owner's 58-year-old father on the night of the incident, believed to be in a bid to abandon the dog. Razlam said the owner's father was arrested to facilitate investigation after which the suspect claimed he was not aware that the dog, placed at the back of the truck, had fallen off and was dangling by the side. "The suspect said the dog, which was their pet, was placed at the back as he was going to abandon the dog and it did not realise it had fallen off and was being dragged," Razlam said. "When the dog fell and was dragged, the driver of another vehicle managed to record the incident and the video went viral since last night," he said in a statement, here, today. Razlam said investigation also found that the suspect had wanted to abandon the dog because it was always biting the cables at his house. Investigation continues under Section 44(1)(a) of the Animals Act 1953.